Life Learning Academy high school students ranging in age from 15-18 take to the streets to tell still, square stories of significance. I’m looking at the new me. When I was younger I witnessed things no kid should see. It took me getting locked up to change my lifestyle. One day I was in court and the judge called me a “menace to society.” She told me I had two sides of me, and that it’s up to me to decide what kind of guy I want to be. I remember looking at my mom and my family in court and seeing who was there for me. Seeing the look on their face it seemed like I was putting them through some deep stuff. I would talk to my mom on the phone and she seemed stressed out and my little brother would always ask me when I was coming home. Through my 18 years, I’ve dealt with too much to handle, but I was old enough to know the consequences I would have to face because of the position I put myself in. The things that matter to me and that I value the most are my family, freedom, and changing the way I live. I really want to change because I’ve hit rock bottom too many times and I realized I was putting my own life in jeopardy. These images show a new me. Transitioning for me was a challenge because I thought I would never change the way I live. It was actually one of the hardest things I’ve accomplished because I couldn’t ask nobody for help. 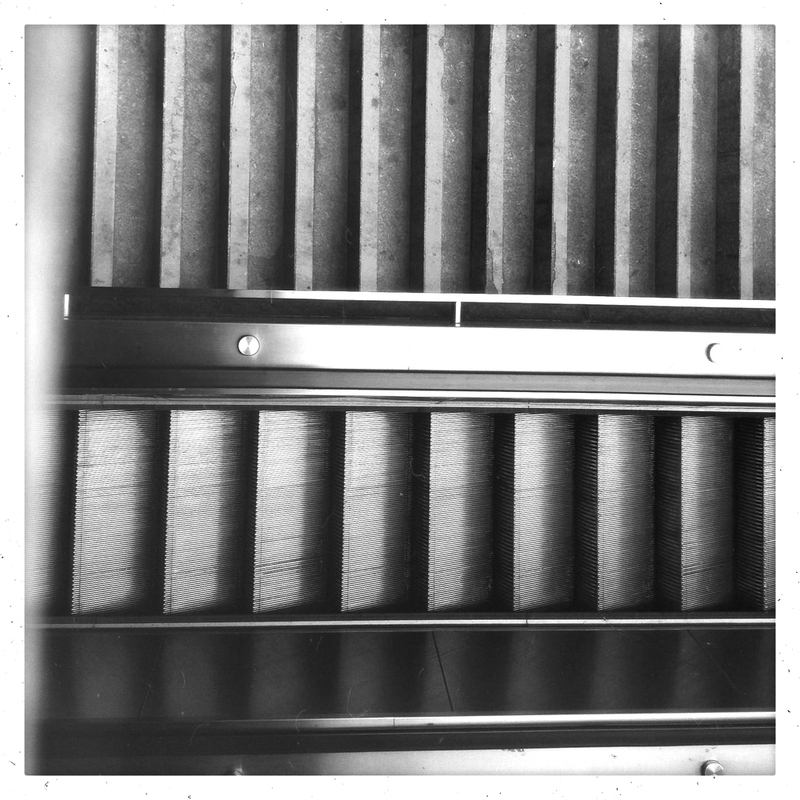 Everything was up to me. Is Acceptance truly Acceptable everywhere? Where I live, you don't see couples holding hands, just me and my girlfriend. Not being accepted affects people more than you think. To be accepted is to feel comfortable in your environment and your surroundings, to feel like you don't have to act different by changing your appearance or the emotion you show in public. I feel like I have to prove constantly that I’m not this monster. The generation that my mom grew up in everyone looked at being gay as just horrible, you didn’t do it, it was just something that was unseen. Her vision of acceptance is totally different than mine. Her approach is that ‘I accept that what you are doing is wrong.’ It was more of a criticizing statement rather than accepting, but in her eyes she was being open to accepting. In my eyes I was just saying why can’t you accept me instead of trying to change me or turn me into something that I'm not. My girlfriend is my heart …..She’s right by my side. She’s very supportive. I hold her hand tight letting the world know that were still here even though I’m hurting inside and afraid at times. I will stand strong, fighting for whats right ,one step at a time. All I want is to not be looked at like I'm weird, I'm a normal person, who made a different choice than most. Swag is the way you present and carry yourself. I guess you can say my generation is more of the flashy type. Where I grew up and live now a lot of people around are all about shoes, it comes off almost mandatory to have the most recent shoes or something better. All around you see a wide assortment of gold teeth, gold and diamond earrings, gold necklaces, etc. The only difference between me and a lot of people is the fact that I don’t need name brand clothes, I get a vast majority of my clothing from thrift shopping and still able to make it look like top of the line clothing. Swag is alive because people care about the way they look. They care because looking nice is a part of everyday society. without personal style everyone would wear the same thing as each other. Doesn’t matter what your idea of swag is, you always have to be confident. Let’s be honest, if you weren’t confident in your outfit you would’ve never put it on. Inspiration: The process of being mentally stimulated to do or feel something. I get inspired so easily by the smallest things. Motion, people, texture, color, shadow. I notice beauty when something makes me want to look twice. When anything makes me feel something whether it be sad, happy, or another emotion. It could be anything, really, as long as I get that feeling of inspiration. It’s sort of like a rush of excitement. It’s not the actual photo, its the feeling I feel before I take the photo. I get all happy and excited, hoping I can capture this the way that I’m looking at it right now. It’s really quick. I just feel it. Sometimes I miss the opportunity to take the picture. It just passes. When I don’t capture it, I get frustrated. I want people to stop and look. Because life is Beautiful. Freedom is something no one should take away from you. It’s something that makes you appreciate the little things that make you smile. My freedom is limited. I don't spend time with my family like a regular kid. I spend my weekdays at a group home and then every weekend at home. I've been living in the group home for about a year and two months. I remember my first day there I was feeling confused and mad that i didn't get to go home. Sometimes I think that I am in the group home so that I could think of others who don't have freedom like I do, even though I don't have all the freedom I wish I did. I feel free enough to come to school and walk around not having to stay in one place for a long time such as a cell. I don't know when I’m going to leave the group home. I’m used to it now. I don’t always notice if it’s even affecting me, but I do sometimes. I notice it when I’m bored and there is nothing else to do. I think of what I could be doing with my family. Students from Life Learning Academy on Treasure Island took to the streets of San Francisco to capture life as they see it. From the financial district to the Embarcadero students used their mobile device to process life as they see it, in that moment. 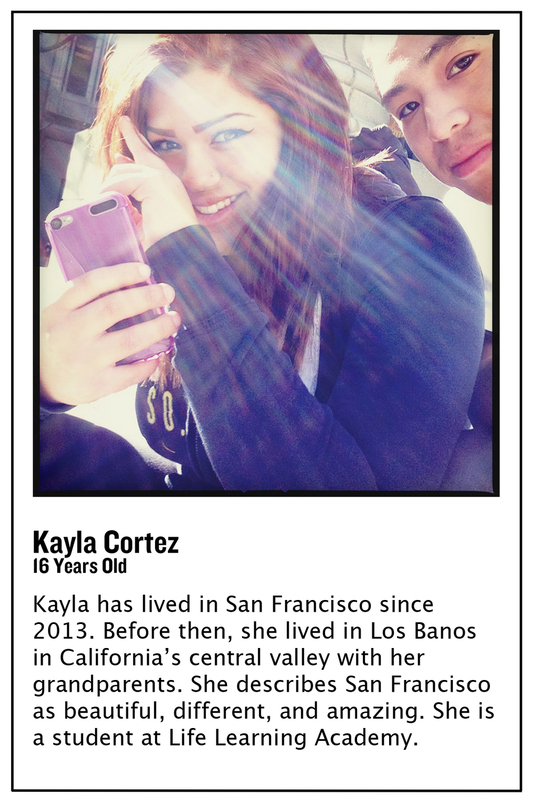 16-year-old Kayla Cortez describes San Francisco as beautiful, different, and amazing. 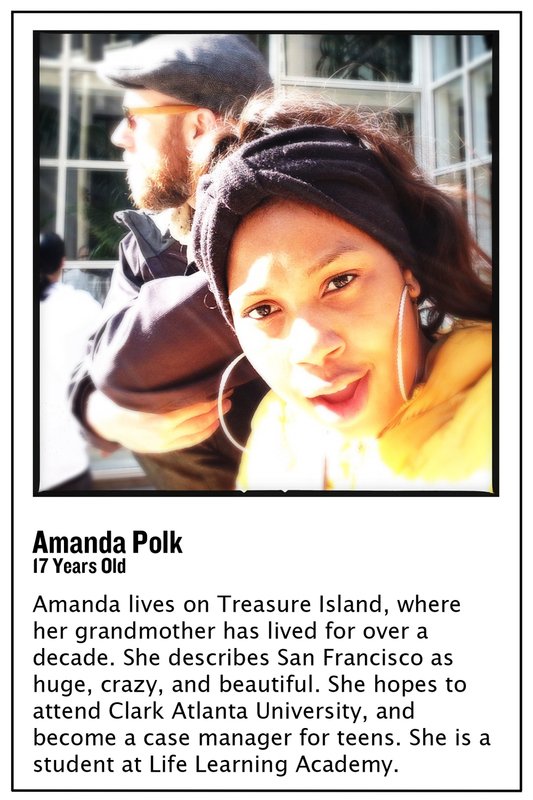 "I enjoy walking through the city, trying new foods, and discovering all that San Francisco has to offer," she said. Amane Hill has spent all of her 18 years living in San Francisco. She describes the city as full of people with unique personalities. She focuses here energy on “being happy all the time,” and loves to walk and meet new people because she believes a smile makes a smile. 16-year-old Mark Nicolas commutes to SF from Antioch for school each day, but was born and raised in San Francisco. 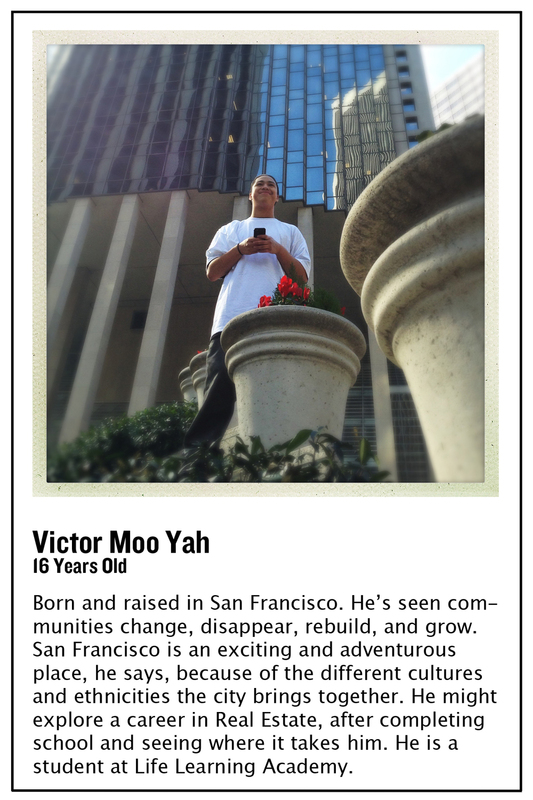 He considers SF his home, and he appreciates the towering buildings and foggy skies. Check out the Timelapse from the Haus of Hipstamatic during the #WeHearYouSF Gallery.